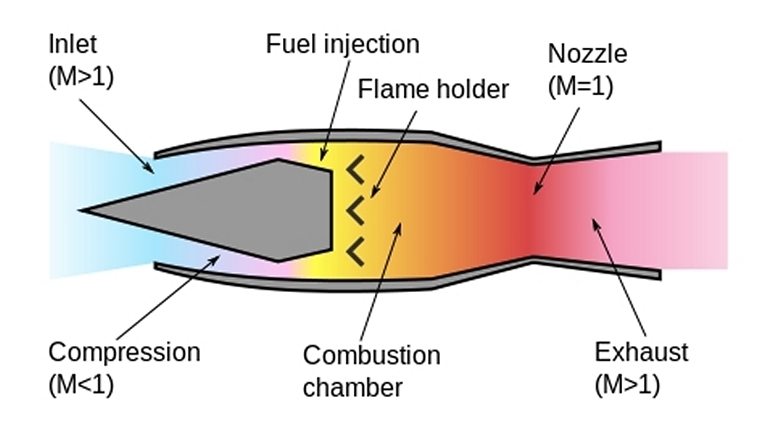 The ramjet is a form of air breathing jet engine that uses the engine's forward motion to compress incoming air without an axial compressor used in normal jet engines. However, because ramjets cannot produce thrust at zero airspeed, they cannot move an aircraft from a standstill. 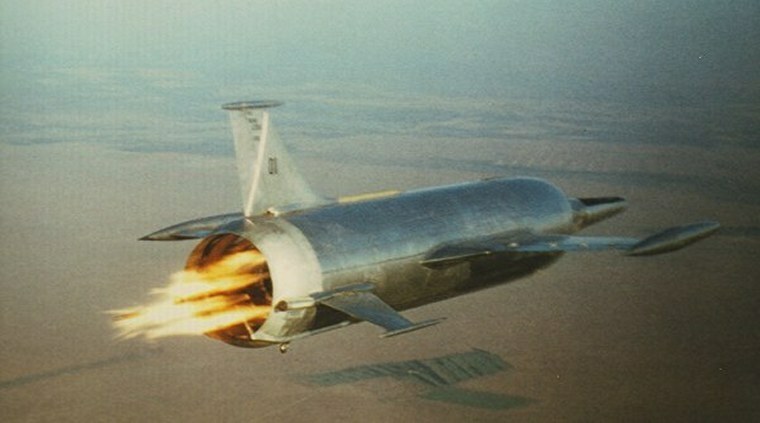 A ramjet-powered vehicle, therefore, requires an assisted take-off like a rocket assist to accelerate it to a speed where it begins to produce thrust. In 1913 a French inventor René Lorin was granted a patent for an air breathing engine with minimum parts but capable in theory of high speeds. However, Lorin's attempts to build a prototype failed due to the availability of materials able to withstand the extremely high temperatures generated during the combustion phase. Seventeen years later in early 1930 Rene le Duc a French engineer, much acclaimed for his work on ramjets, became the first to make the concept work. 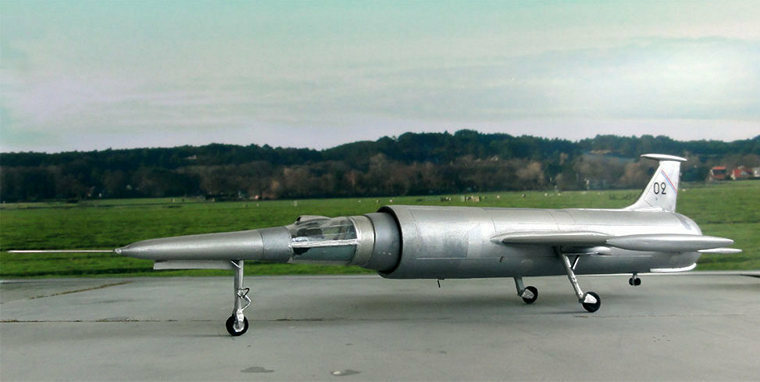 The le Duc series of aircraft were experimental ramjet monoplanes of rather strange design. The pilot was located in a transparent nose cone, lying flat with minimal comfort. The aircraft were pure experimental prototypes to investigate this type of Ramjet engine. In 1937 the 0.10 project was started by le Duc and the legendary Louis Breguet at the le Duc factory at Villacoublay. However, WWII delayed the project for almost ten years. Since the ramjet engine is the complete absence of thrust, when the plane is stationary Leduc mounted his creation on top of an especially modified SE-161 Languedoc a four engine transporter; the ramjet powered aircraft being released when sufficient airflow is created during the flight that enabled the ramjet to start functioning. On 21 October 1947 the first composite gliding flight of the Leduc 0.10 mounted atop the Languedoc, took place. The next to fly was the 0.16 and 0.21 research aircraft followed. All of which successfully flew although some were lost in various incidents. Although intended to be a supersonic fighter, the 0.22 proved unable to exceed the speed of sound (Mach 1) because of the prohibitive drag induced by its non-area-ruled fuselage and the effects of compressibility when reaching near sonic speeds. Another 80 flights took place before the cancellation of the project in favour of the more conventional Dassault Mirage III. A second prototype was under construction at the time. 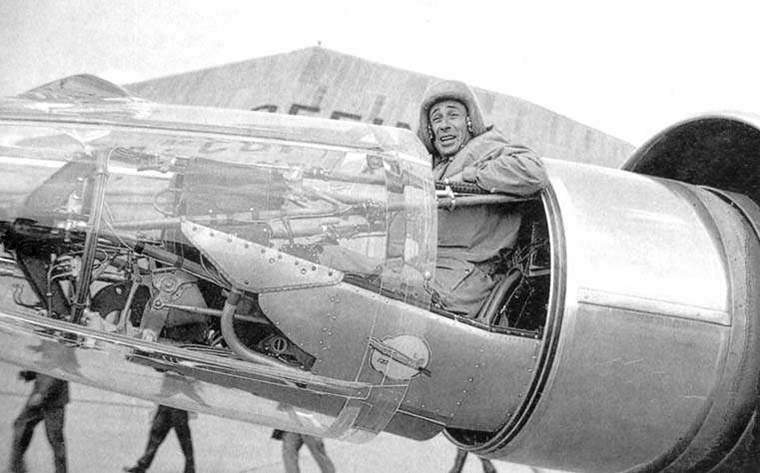 The cancellation of the project marked the end of René Leduc's aircraft development activities.